Appliances are our life partners when it comes to home chores. They make our lives easier compared to the traditional ways of how we should do tasks. We buy them with the assurance that our investments will serve us for a long period of time. But due to some events, they get damaged along with their usual wear and tear condition. Yet sometimes, the damage is due to mishandling. Before talking more about our insider tips, let’s check first the usual lifespan of our common appliances. Take note of that. Because you might be running short out of the appliance’s life average. We all want to maximize our investments and have the most out of them. We have here our top tips on how to make your appliances last longer. The first step is to group our appliances according to their functions. This includes the refrigerators, freezers, wine chillers and water coolers. These appliances are mainly used for storing our food and beverage for preservation. One of the best ways on how to make them last longer is by knowing their storage capacity. These appliances cannot carry a ton of content. For refrigerators and freezers, a full load will make the cooling process inside harder. This means that your machine has to exert more effort on making the cool air to circulate properly. This damages the cooling system which results in a lesser efficient cooling capability. So to make sure you’ll maximize the time of service, do not overload. Organizing the content of the freezers and fridge will help a lot to make cooling well distributed. In that little way, it is easier for the cooling mechanism to work properly. This adds up to 3 more years of usage. This includes electric fans, air conditioners, and air coolers. These appliances mostly work with filters and turbines. Their main work deals with refreshing the air and environment we have inside our homes. It makes them work along with dust and other external particles which might damage them. So to help them prolong their lifespan, periodically check their filters. A clean filter makes the appliance to perform efficiently. It also serves as a good energy saving tip, as the appliance will only use optimum capacity to make its task done. An occasional checking of once a month for filters is advisable. If you can not do it, at least make sure to contact an air conditioning repair center to make the work done for you. A dirty filter does not only result in damage but it also makes electric consumption higher. A regularly cleaned filter among air conditioners and air coolers adds up to 5 years of usage. This includes washing machines, dryers, and dishwashers. As discussed earlier, knowing the maximum storage capacity of these appliances also help. Statistics show that these appliances are wrecked, or damages by improper weight loading. It means that to make them last long, check their carrying capacity. Overloading will damage their engines that make the cleaning blades turn. A heavier load also makes it perform inefficiently. This results in poor cleaning and drying outcome, to the washing machine and dryer respectively. For dishwashers, it should be loaded with proper weight distribution. It means that kitchen wares should be placed in properly. This practice makes the dishwashing more efficient. These practices will surely make your appliances last longer. It can even add up to 2 more years of additional lifespan of the appliances. This includes the cooker hobs and ovens. Research says that these appliances are commonly damaged by physical force. It means that the external force that we exert on using them is the suspect. We tend to slam and operate them uncarefully. So to make their life last longer we advise, especially for induction cooker hobs to be operated gently. As it is covered with glass, make sure to use compatible and lightweight cookwares and casseroles. On the other hand, the microwave oven should also be operated gently with the added caution of taking note on proper heating timers. This means that you should be more careful when it comes to loading the food inside. You should also know how to gently open and close its doors. And lastly, be meticulous about the timings you have to use when reheating or cooking using the oven. So to make their lives last longer, operate them with finesse. Treat them as your kitchen babies. These practices will make your cooking appliances to last longer for 2 more years. 5. All appliances inside your home. Yes, there might be some tailored care and practices for each appliance that we own. But knowing how to clean them periodically says a lot about their performance and lifespan. The dirty appliance is like a sick human body. It cannot perform very well if it is filled with dust and other external particles. So make sure to set a day to make a 360 degree check up on all of your appliances. Because you might be cleaning the visible spots every day, it still makes no good on the hidden spots. This talks a lot about big appliances like the refrigerators and washing machines. Due to their immobility we, we forget to check their back panels. But regardless of how big or small an appliance is, you should take time to check and clean them in all angles. Specks of dirt and unwanted materials deteriorate the metal which mainly makes up the appliances. Always clean periodically. 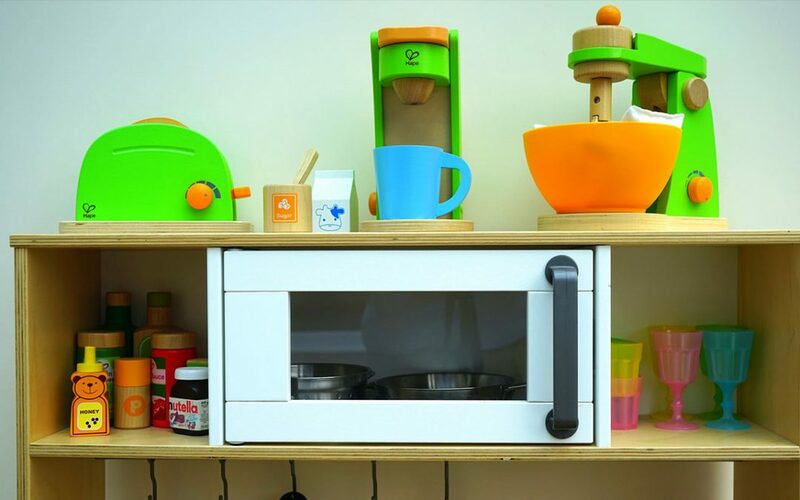 These little steps will surely make your appliances to last ages. No matter how reliable the brands of our appliances are, their lifespan is still affected by the way on how we treat them. Add there the usual wear and tear condition they have to face. This means that it all relies on us. A careful user makes their appliances last longer. So take note about all of these tips, and start applying them to your home investments.